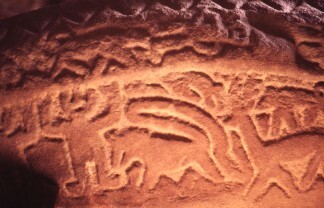 Detail of figures from left side of hunt scene. Brown, G.B., The Arts in Early England, 6 Vols. 1st, Oahspe, Herts. (1903-37) England - Civilisation, Art, Anglo-Saxon..